Acting quickly on the need to clean up city streets by reducing emissions on commercial vehicles, the UK’s Driver and Vehicle Standards Authority (DVSA) has entered into a period of public consultation on regulatory changes affecting commercial vehicle operators to encourage the uptake of alternative fuels. Lighter weight small delivery vehicles are those which are most commonly used on city streets to keep shops stocked and maintain the urban economy. These are also some of the most polluting vehicles, with high NO2 emissions from diesel engines. With the recent changes announced by the Government to reduce the use of internal combustion engines and drive short term emission reduction initiatives for Britain’s most polluted areas, regulations have been proposed to encourage the take-up of alternatively fuelled vehicles by light commercial vehicle operators. Often, such vehicles are driven by category “B” licence holders, which is the category held by passenger car drivers. They don’t need special licences to drive heavy goods vehicles. By introducing heavier electric power trains, vehicles either cross the boundary into new licence categories or payload capacity is reduced, neither of which provide any advantage to the operator. 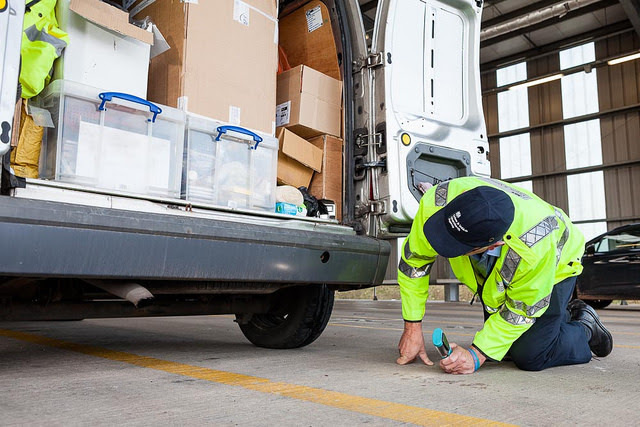 The DVSA is proposing regulatory changes that increase the weight threshold at which a different licence category is needed. The change would affect only electric or gas powered vehicles. The changes also include whether the MOT exemption for electric vans should be removed. The consultation is open for public comment to be submitted to OLEV (the Office for Low Emission Vehicles) by 18th October 2017.